Microsoft has taken down a webpage containing a pair of download links pointing to its Windows 9 Technical Preview for Enterprise ahead of the company's September 30 "future of Windows" event in San Francisco. As noted by BetaNews, links to download the 32- and 64-bit versions of the build appeared on a Microsoft webpage, which is unaccessible at the time of writing. You're not missing out though: apparently they were placeholders pointing to the TechNet Evaluation Center, rather than official Microsoft code. "The next version of the Windows client operating system will enable IT professionals to provide users with a familiar experience across multiple devices while enhancing security and manageability," it read. "It will also offer new and improved features that enable businesses to: Defend against modern security threats, Elevate employee productivity, Embrace the mobile and cloud era, Enable upgrade without upheaval." Additionally, the page referred to a version of Windows called Windows TH. 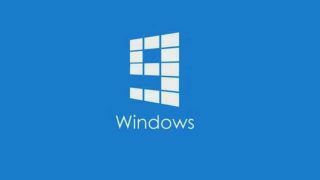 Microsoft is expected to go with Windows 9 as the name for its next OS, which has also been referred to as "Windows Threshold" ahead of the official unveiling. TH could mean a number of things: from the element Thorium to it being the ninTH version of Windows. Can you think of anything a little more exciting? Let us know in the comments section below.